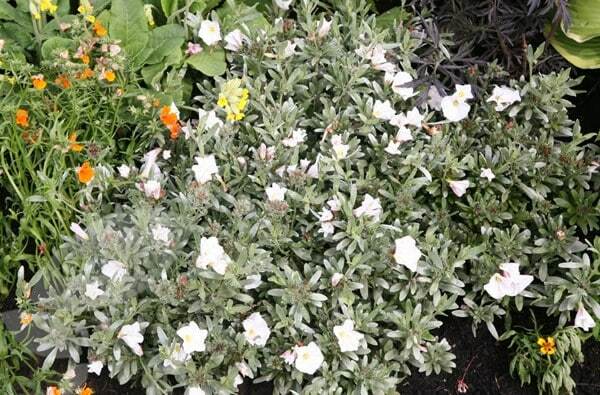 A wonderful, evergreen shrub with cup-shaped, white flowers with pale yellow centres from late spring to summer. 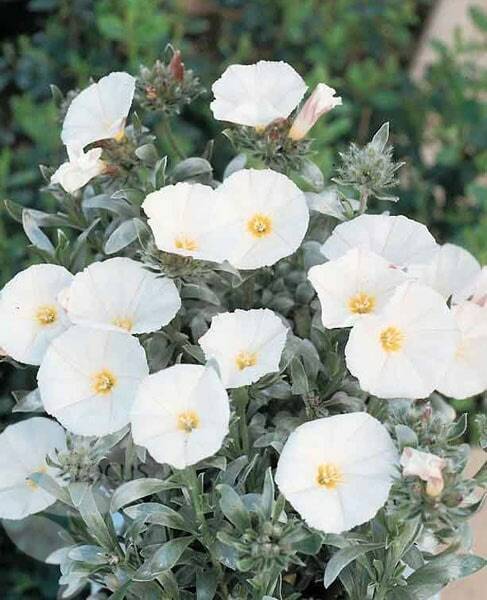 This plant is an asset to the garden for its shiny, silvery foliage, as well as its flowers. It is happiest in a hot, sunny border where it contrasts well with blues and purples, and it also looks stunning cascading over a wall. In areas with cold, wet winters it is best grown in a container. Garden care: Prune lightly after flowering to keep in shape. As with all the plants I've bought from Crocus over the years, this arrived beautifully packed, healthy and ready to be planted. It's just coming out of dormancy now and I'm looking forward to its flowering in early summer. Lovely silvery grey shrub which looks good most of the year. They grow well on my chalky soil in a sunny position, and I have several cascading over a wall which looks very attractive. Mine flower intermittently at random throughout the spring/summer! Leaves can get a bit tatty in winter, but all my plants have proved to be perfectly hardy. Oddly enough, the only casualties I've had have been in the summer, when a couple of the plants have just died for no apparent reason. A very worthwhile small shrub, however, if you have the right conditions and perfect for adding a splash of grey/silver into a border. What winter protection (if any) would this need in a small London garden? What can grow in a pot in a seaside location? We have a decent-sized front garden and we would love to have something that we can grow in a very large tub. We live very close to the beach so it is sometimes very windy. What can we put out there? What can we grow in our dry, sunny border? I have a sunny and very dry border up against the front of the house. It is about 14 inches wide but protected by the house from receiving hardly any rain. Because of the window any plants must be less than 1m high. We have considered lavender but would really appreciate any other suggestions.